The optimism and vision of Taliesin students are visible everywhere in this smart prefab located in Scottsdale, AZ. The result of a design/build class taught by Jennifer Siegal and Michael P. Johnson, it’s a dynamic, livable house that honors Frank Lloyd Wright’s legacy while tackling important design issues of today, from innovative prefabrication to sustainable systems like solar panels and rainwater and gray-water collection. Like heavy Legos, shipping containers made of steel or aluminum can be used as an inexpensive, and stronger than average, building block. Resistant to such forces as hurricanes, tornadoes and earthquakes, containers are naturally suited to such humanitarian projects as post-disaster housing and community centers but their versatility has also captured the imagination of designers and architects worldwide who’ve used them for everything from highrises to rustic cabins. In fact, there are enough cool container structures around to constitute a movement: some call it Cargotecture. 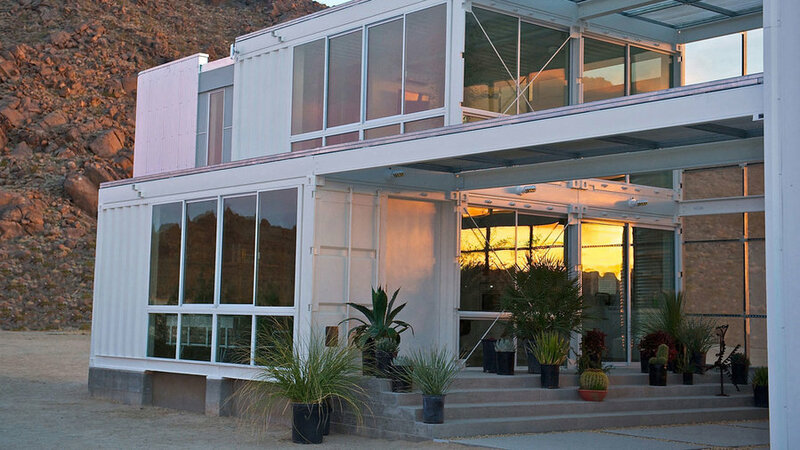 Pictured is , the first repurposed container home permitted and built in CA's Mojave Desert, is one great example. 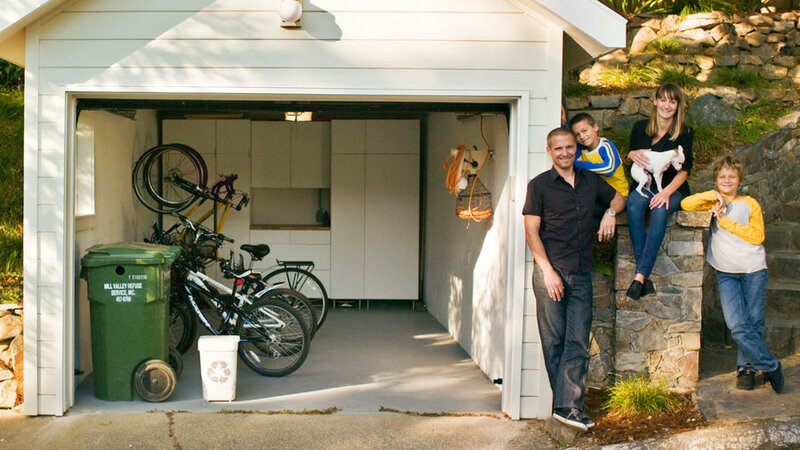 Home of the future, extreme recycling, or just plain eccentric? We can’t decide. But this house, built from a deconstructed 747 jumbo jet, is what we’d like to see more of in the future: Let’s call it industrial-strength prefab. On trash day in Mill Valley, California, the Johnson home has no garbage. Nothing. There is a hefty compost bin and a teeny recycling bin—one that Béa Johnson is embarrassed exists at all. “So much recycling really goes to waste, so you need to try to reduce that too.” Garbage, though, is something that happens rarely in this modern, minimalistically decorated house. That’s by day-to-day intention—to live simpler and lighter on the planet. Their quest started three years ago when Béa and husband Scott downsized from a 3,000-square-foot home to their current 1,400 square feet. 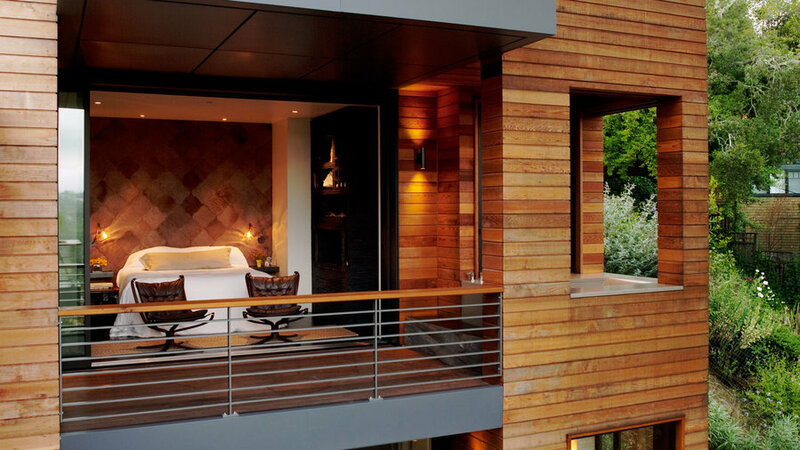 This home in Mill Valley, California was built on a small hillside lot which made for a challenging vertical floor plan. To compensate for lack of yard space, the home has as many outdoor rooms as it does indoor. 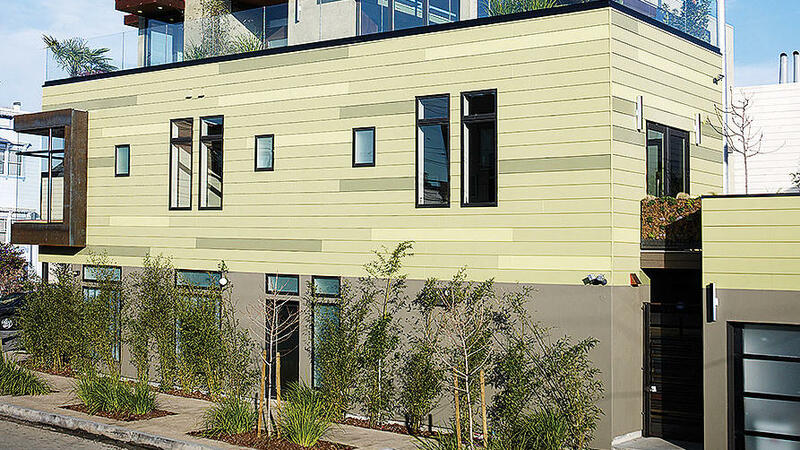 On top of being breathtakingly beautiful, the 2,100-square-foot house was named the first LEED for Homes Platinum home in Marin County in 2010. This unusual home in San Francisco is packed with ideas for living in style while being earth-friendly, too. From reclaimed-wood floors to salvaged fencing outdoors, the design makes smart use of green materials. 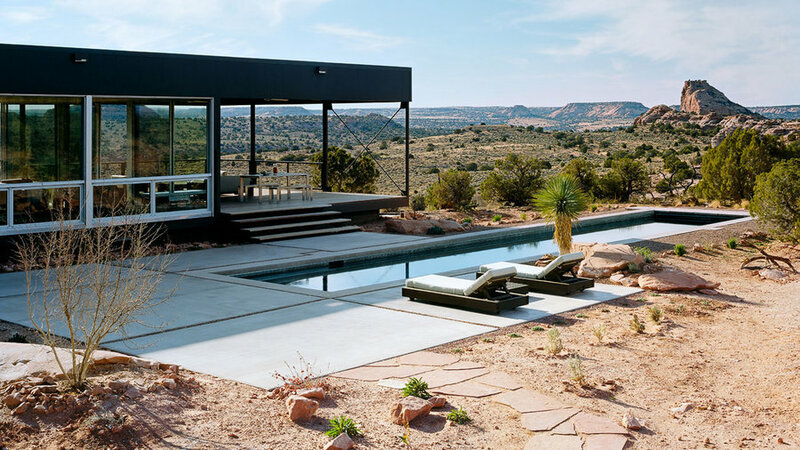 Geothermal systems that heat and cool the house and solar panels providing power, let The Utah House (near Moab, UT) sit relatively lightly on a dramatic landscape. 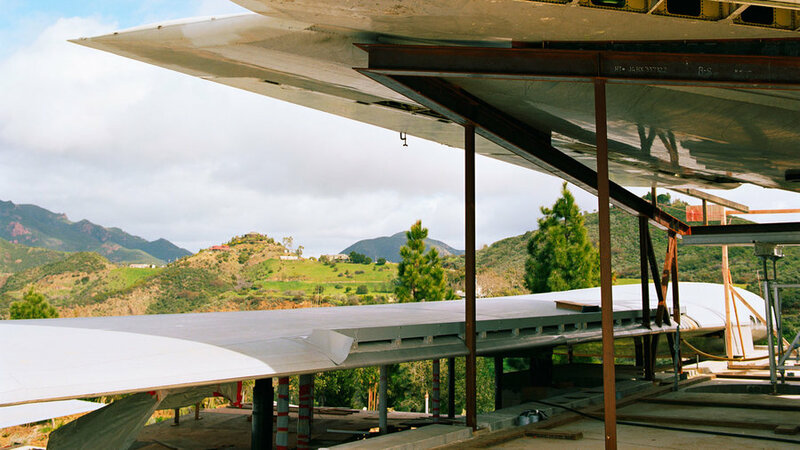 The torn-paper profile of the Sierra Nevada makes a rugged backdrop for this angular, contemporary home that employs alternative construction techniques and solar technologies. Thick walls of rammed earth use straw bales as low-cost insulation. Salvaged lumber was turned into beams, flooring, and interior siding. 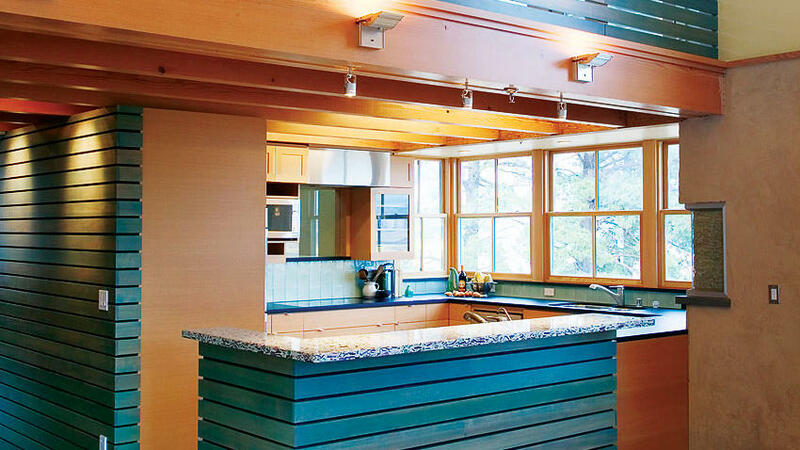 Kitchen counters incorporate recycled glass. Solar-heated water circulates in a radiant-heat floor that is further warmed by winter sun. In summer, the roof overhang shades windows, while thick, highly insulated walls keep it from overheating. Photovoltaic panels on the roof and on a trellis make the house largely independent from the utility power grid.